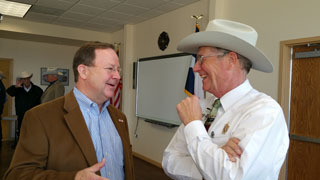 Congressman Bill Flores discusses tax reform. Congressman Flores addresses border security. Congressman Flores discusses internet privacy. Congressman Bill Flores held this Access Live Video event to discuss and debate important issues with constituents in the 17th District of Texas. Among the topics addressed were the tax plan, veterans, immigration and healthcare.